The Wyoming Firefighters Association will hold its annual Turkey Raffle on November 16 and November 17, starting at 7:00 p.m. at the Civic Center. 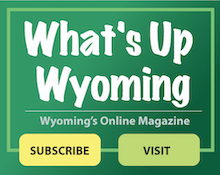 This is a fun, family friendly event that has been a Wyoming tradition for over 80 years. This year the Association is trying to raise additional funds to assist the Fire Department to equip the fire apparatus with needed tools and devices for you and your family’s continued safety, welfare, and educational opportunities. Playing is simple: exchange your tickets for a number on the wheel giving you a chance to win a turkey. If your number is called, you win a turkey! Pick up your fresh turkey at the firehouse on Tuesday, November 20. Last year, approximately 200 turkeys were given away. There will be beverages and adult beverages for sale at the event and other chances to win prizes.